The Natural History Museum in Las Vegas, Nevada is dedicated to helping visitors better understand the natural world around us. The museum is the ideal place for families and naturalists with an interest in wildlife and history. Using games, facts, and startling statistics, the museum brings the natural world to life for the inquisitive. The Natural History Museum provides for a great break from the busy city for all families, whether staying or living in the Las Vegas area. Inside the Las Vegas Natural History Museum, visitors are treated to a huge variety of animals, both alive and preserved. In fact, some of the animals inside have been extinct for millions of years. One of the first exhibits visitors come across inside the Las Vegas Natural History Museum is dedicated to animals currently roaming the earth. These stuffed creatures are set in realistic poses and placed in exhibits designed to resemble the surroundings of their natural habitats. Here, children marvel as they see a Lion pouncing toward a wildebeest in the Serengeti and polar bears roaming the ice caps of the North Pole. This collection of animals gives a real insight into the natural world and habitat of animals that cannot be demonstrated at a zoo or animal park. The animals at the Natural History Museum may not be living, but they are presented in such a lifelike manner that they look as though they will get up and walk around at any minute. 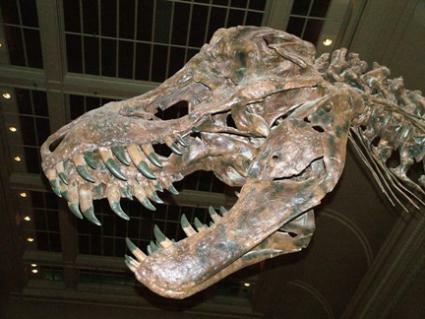 The Natural History Museum also has an extensive range of dinosaur exhibits that will have children in awe. The exhibition houses huge life-size recreations of some of the fiercest dinosaurs to have ever roamed the earth. From a 35 foot long Tyrannosaurus Rex, to a huge Ichthyosaur sea creature, the collection encompasses a huge range of beasts from the land and sea for visitors to view and learn more about. The Natural History Museum of Las Vegas does not simply concentrate on exotic and extinct animals. There is also a section dedicated to the creatures that inhabit the local Nevada landscape. Recreating much of the local scenery, the museum shows visitors that Nevada has more to offer than fancy hotels and casinos. With landscapes as varied as the Mojave Desert and the Spring Mountain Range used as a backdrop, the animals and beasts on display are shown in full size and in their natural environment. The collection includes elks, mice, badgers, snakes, foxes and more. Among the large collections of stuffed creatures, there are also living animals to be discovered at the Las Vegas Natural History Museum. For example, there is an extensive collection of reptiles and other creepy crawlies for the family to enjoy. These include tarantulas, lizards, Burmese pythons, and other snakes. For those who are brave enough, the museum also periodically allows some of these animals to greet visitors face to face - with the help of a museum guide, of course! By touching and even holding these animals, all visitors can be educated a little more about these fascinating creatures. An interactive environment can be found throughout the Natural History Museum. This allows visitors to see, hear, and even touch some of the animals and exhibits. Children are particularly excited by these exhibits, which encourage them to take an active interest in science and in the environment. With opportunities to interact with animals, to dig for fossils, and to discover more about the world of animals and those who study them, there is plenty to keep the kids entertained at the museum. The Natural History Museum is not, however, just for children. Adults are also welcome to join in the fun and learn a little more about the natural world. The Las Vegas Natural History Museum is located south of the intersection between the Las Vegas Strip and Washington Avenue. It is about 6.5 miles away from the center of the Las Vegas Strip. The Natural History museum is open every day from 9:00 am to 4:00 pm. The standard admission price for adults is $12, while seniors, students and military personnel pay $10. Children between the ages of 3 and 11 are charged $6 and children 2 and under are free.